The new Sydney railway will deliver 31 metro stations and more than 66 kilometers of new metro rail. 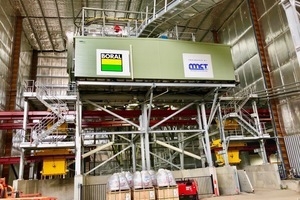 MCT Italy, in a true partnership with the Australian Partner Bennett Equipment from Adelaide, delivered a special concrete batch plant to Boral specifically designed to produce the concrete for the tunnel segments. This new standalone railway will deliver 31 metro stations and more than 66 kilometers of new metro rail, revolutionizing the way Australia’s biggest city travels. Metro means a new generation of world-class fast, safe and reliable trains easily connecting customers to where they want to go. When services start in the second quarter of 2019, customers will not need timetables – they will just turn up and go with a train every four minutes in the peak. Technology will keep customers connected at all stages of their journey, from planning at home using smartphone travel apps, real-time journey information at metro stations and on board trains, and accessing information and other public transport to help get to their final destination after they leave the train. This approach will help customers achieve their daily tasks, whether it is getting to work, meetings, school or education, sport, a day out or running errands and of course, getting home. 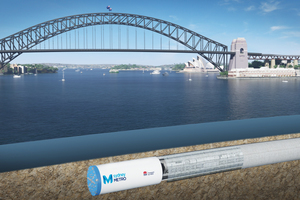 When Sydney Metro is extended into the central business district (CBD) and beyond in 2024, metro rail will run from Sydney’s booming North West region under Sydney Harbour, through new underground stations in the CBD and beyond to the south west. There will be ultimate capacity for a metro train every two minutes in each direction under the city, a level of service never before seen in Sydney. Sydney’s new metro railway will have a target capacity of about 40,000 customers per hour, similar to other metro systems worldwide and will increase the capacity of train services entering the Sydney CBD from about 120 an hour today to up to 200 services beyond 2024. 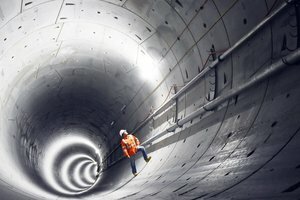 John Holland CPB Ghella (JHCPBG) has been contracted to design and construct the tunnel and station excavation works for Sydney Metro City and Southwest. 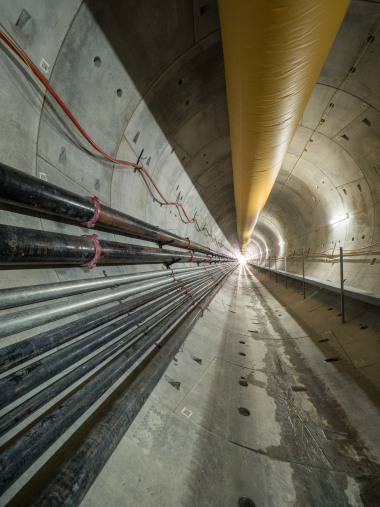 JHCPBG is committed to supporting local businesses for the benefit of the project and subcontracted the supply of the concrete for the tunnel lining segments to Boral Australia. 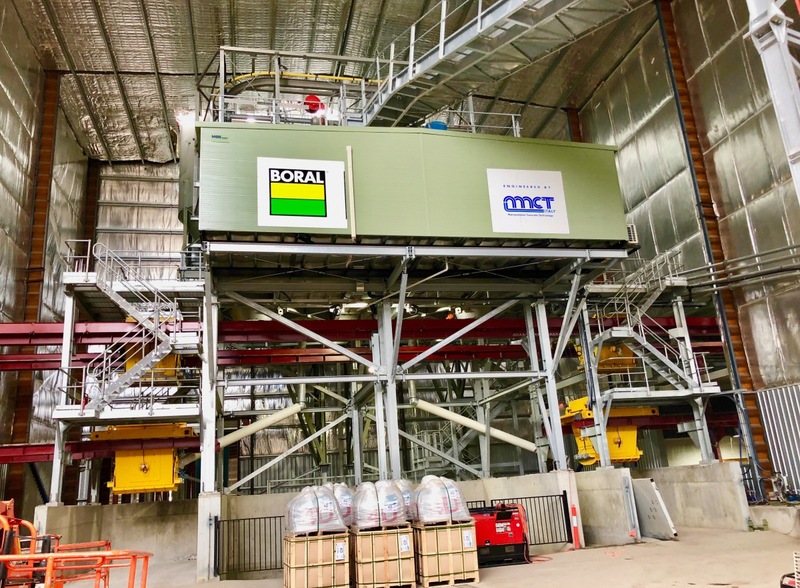 Philip Mallam, Asset Manager NSW/ACT Concrete, adds: “The turnkey project as concerns site organization, erection and lifting equipment has been really well organized by all the parties involved from Boral and MCT Italy. The customer supported us with genuine, collaborative spirit from day one: in such conditions every project is a guaranteed success and it means a long-lasting relationship”. Allan Styner, Boral Capital Procurement Manager, affirms: “Winning the Sydney Metro project confirms Boral’s solid construction presence in Australia. 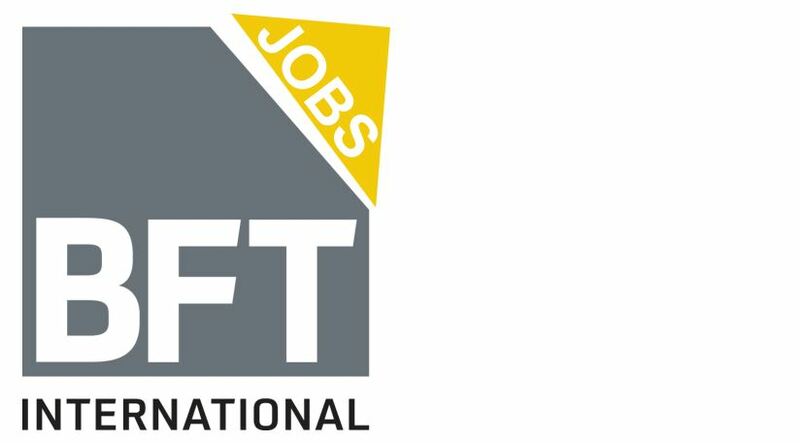 The company is also part of the successful Forrestfield tunnel project in Perth which is going to be completed breaking records in production time”. 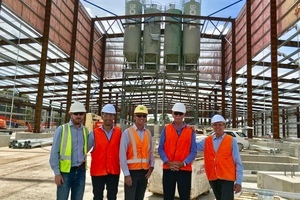 A Marrickville warehouse has been transformed by JHCPBG and Boral Construction Materials into a facility to batch the concrete and produce the tunnel lining segments. The segments are trucked for temporary storage to the construction site, from where they are delivered into the tunnel boring machines (TBMs). MCT Italy, in a true partnership with the Australian Partner Bennett Equipment from Adelaide, delivered a special concrete batch plant to Boral specifically designed to produce the concrete for the tunnel segments. 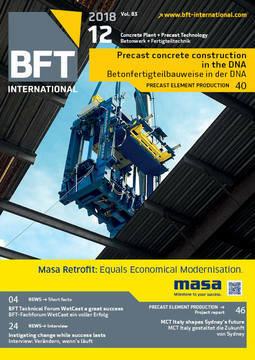 The high-quality concrete containing 30 kg of steel and 1.5 kg of polypropylene fibers per cubic meter is batched by a No. 2 Eurostar 3000/2000 planetary mixer. The concrete has undergone a series of tests to ensure it meets the required standards for strength and durability. 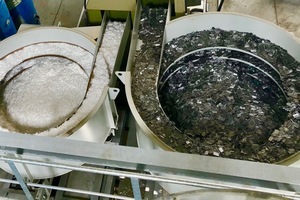 Very strict tolerances lower than 1% on all dosed components ensured success in the most severe tests, including fire testing held in New South Wales, Australia. Six concrete segments will make up one tunnel ring, which is installed underground by a tunnel-boring machine as it moves forward. Each tunnel will be lined with 16,451 concrete rings. 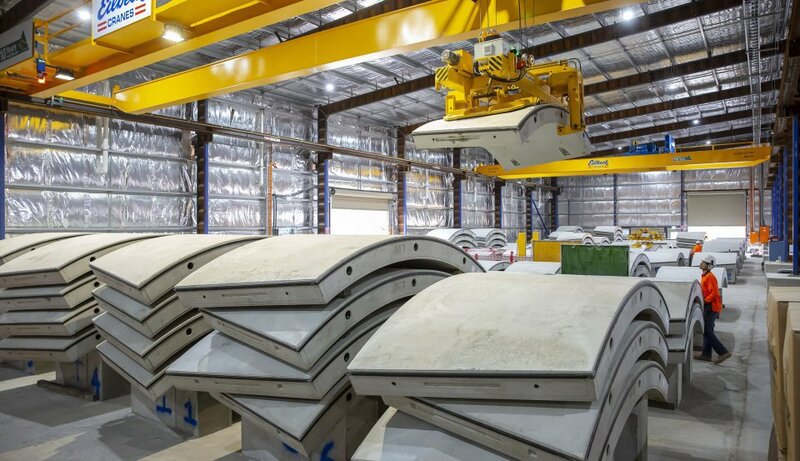 The specialized concrete factory in Marrickville produces one four-tonne segment every six minutes. 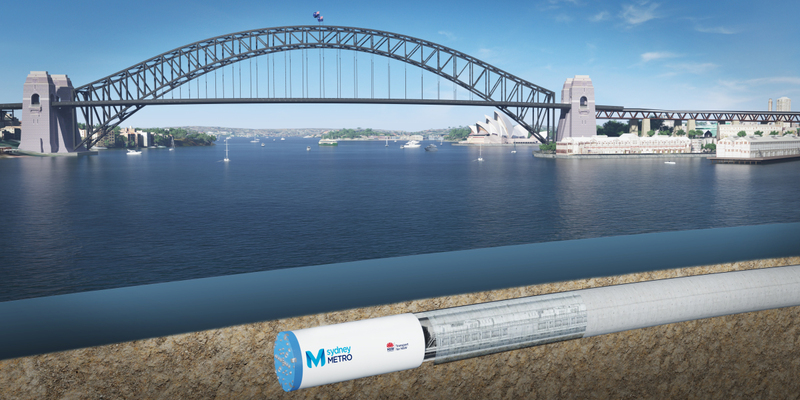 NSW Transport and Infrastructure Minister Andrew Constance said: “Sydney Metro is a game-changer for Sydney which will revolutionize the way we get around our great global city for future generations to come – metro rail is here to stay”. “The batching plants recently installed in Perth and Sydney confirm that our customer-oriented solutions together with high-quality components are the win-win cards to play. 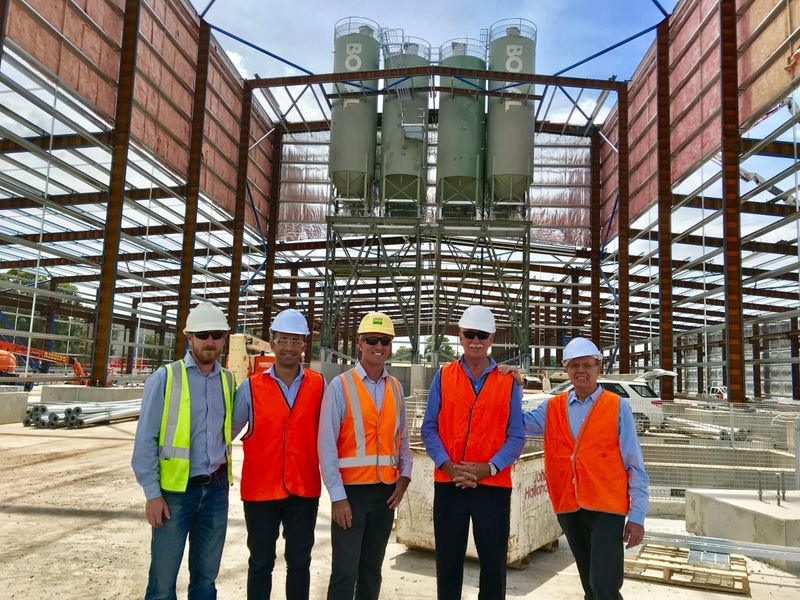 The very strict tolerances set by Boral to completely meet the JHCPBG and Australian standards were a challenge and I can definitely affirm that we are proud of the state-of-the-art plant delivered in New South Wales”. Australian Government is investing a lot, and Gabriele Falchetti adds: “Infrastructure projects are increasingly opening up opportunities. 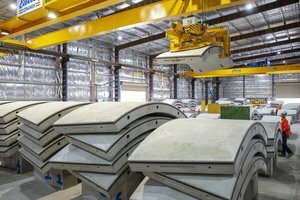 For this reason, MCT Italy’s plants in Perth and Sydney draw the attention of the National Precast Association of Australia, which is organizing a factory visit during their next meeting in November 2018. 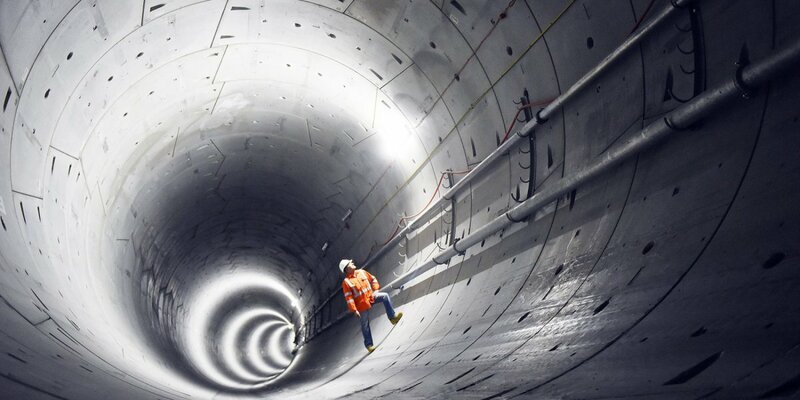 Construction of new tunnels for trains and metros is expected in the near future and we are ready to put our technology, expertise and after-sales support at the service of our new customers”.